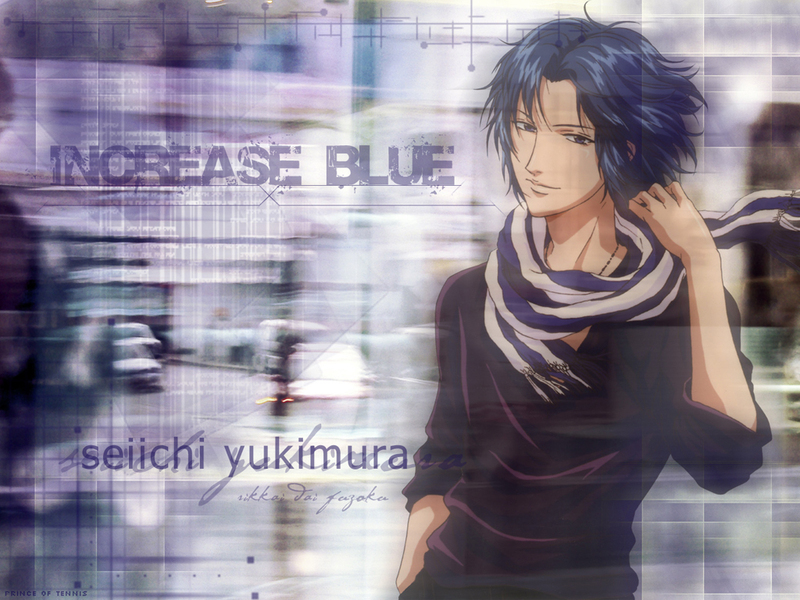 Someone requested me to do a Yukimura wallpaper before, and so I've finished it! I wanted it so that Yukimura is looking at you from the otherside of the glass, be he outside a building or something, hence why I made it rather reflective. "Increase Blue" is a Dir en Grey song from their Vulgar album. I LOVE THIS SONG. I had on repeat just recently on my mp3 player. I know this image of Yukimura is used in almost every wallpaper of his...and though I wanted to use his festival bromide image, there isn't a high resolution one! So who cares! Anyway, this image allowed me to get a more gritty wallpaper out of Yukimura, unlike those swirly blue bgs I usually see. I wanted something more contemporary, more hip. Which is why the main fonts [underline MAIN] are simple. wow.....it's very nice wall....I like bg....it's good.. I like this one! The character is cute and the background suits him... nice work! yup, a lot of yukimura wallie take tis scan. but again who cares? is not the scan ppl c, it's the background. great background i must say. My brother is so cuuuuuuuuuuutte! Seiichi, my lovely, lovely brother! Yukimura looks so nice! Love the wallie!